I need to get some money. Where can I find a cash machine? (Necesito conseguir dinero. ¿Dónde puedo encontrar un cajero? Did you get the package I sent you last week? Alice got the flu last week. Excuse me, how can I get to the British Museum, please? My mother told me to get my stuff out of the house. He got really nervous in the argument. 1. Get + preposición. Ejemplos. 2. 20 frases de ejemplos con get en inglés. 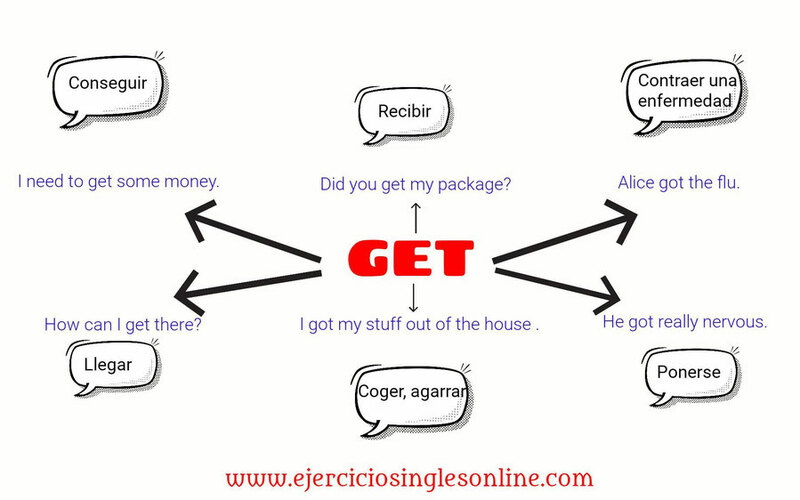 Significados mas comunes del verbo "get" en inglés.